The final chapter of The 8th Continent has arrived! The fate of the eighth continent is at stake, and the ultimate showdown between the Lanes, Winterpole, and Mastercorp is about to begin. Explore solar farms, join huge hovership battles, and meet the world’s saddest robot octopus in the thrilling conclusion of The 8th Continent! A hilarious science fiction eco-adventure! 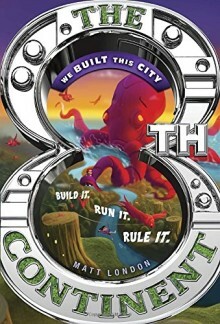 The 8th Continent is now available. It’s got mechanical birds and flying trees and garbage dumps the size of Texas and one very angry robot shark. Check it out! Matt London is a writer and avid recycler who has published short fiction and articles about movies, TV, video games, and other nerdy stuff. 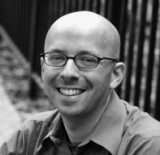 Matt is a graduate of the Clarion Writers Workshop, and studied computers, cameras, rockets, and robots at New York University. 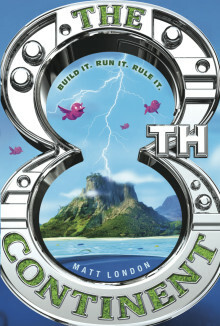 When not investigating lost civilizations, Matt explores the mysterious island where he lives—Manhattan.